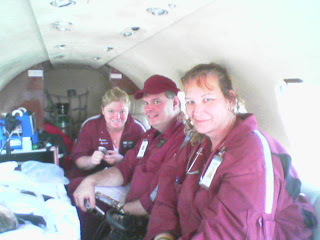 Our Flight nurses and respiratory therapist. They were fantastic. July 2004 we took a trip down to Florida to visit Ben's grandparents who were a mission. 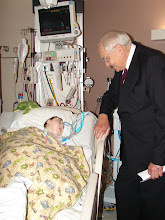 During that stay, Ben got really sick and ended up in the PICU of St. Joseph's Hospital in Tampa. We were there 11 days before leaving to go back to NH. 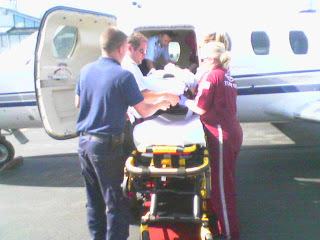 Because Ben was still on the vent, he had to be flown back in an ambulance. That was an experience I'll never forget. I was able to travel with him. It was a really small jet. You couldn't even sit up straight. The flight was 3 hours long and over $12,000. 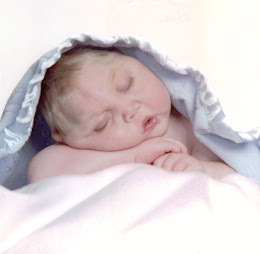 Eventually we made it back to the PICU at DHMC where Ben finished out the course of his illness.